10 miles northwest of Manchester, lies the former mill town of Bolton, home to one of the newest Amazon Robotics fulfilment centres in the UK, MAN3. Named after the nearest airport, Manchester, the centre specialises in small to medium products – phone cases, coffee machines and toys are among some of the products you might find there. Dominika Wisniewska has been working at the site in Bolton since it opened in 2018. 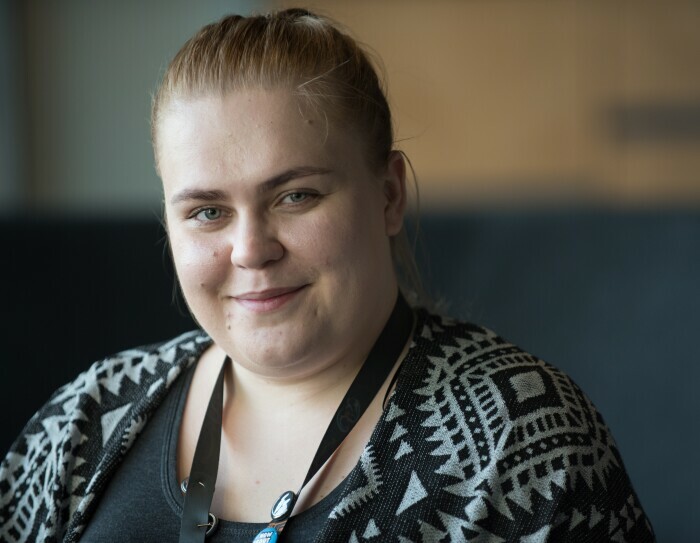 Having started as a fulfilment centre associate in Ridgmont, Milton Keynes, Dominika progressed to a health and safety coordinator in the fulfilment centre in Bolton. “I feel at home here, the people around are nice and I'm enjoying every minute I spend in the fulfilment centre,” said Dominika. “I love the challenge of solving problems and I get so excited when I resolve an issue and improve the shopping experience for customers. Being here makes me happy and I am proud to say I work for Amazon, I am looking forward to the new adventures it will bring,” Dominika wrote in her entry. “When I was told I was going to Seattle I couldn’t believe it! I was excited to see everything, a fulfilment centre in the States and dogs in the office,” said Dominika. During the five-day trip to Seattle, Dominika and Amazon colleagues from sites across the UK were shown around the city and enjoyed a trip up the Space Needle. They also went on a tour of the Amazon campus and the robotics fulfilment centre in Kent, Washington, where they met Amazon’s Chief Scientist.